The Praise Tambourine features a bright open jingle tone for use in worship applications. Constructed with an Acousticon® shell and a pre-tuned graphic drumhead with a single-row 6 jingle set for the 6" model, and either a single or double-row 8 jingle set for the 8" and 10" models. 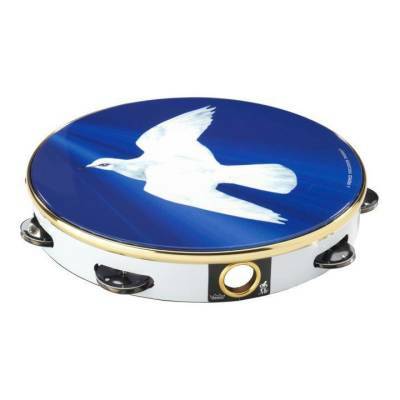 The Praise Tambourine is lightweight and durable.